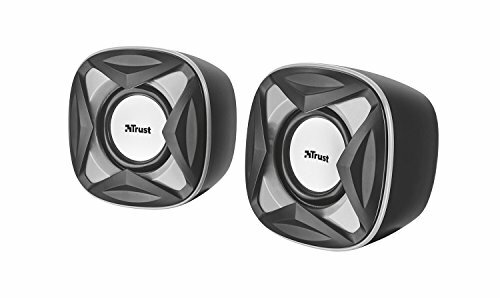 Compact speaker set with 8 Watt (4W RMS) output powerKey features- 8W peak power (4 Watt RMS)- Compact size, big sound- USB powered: no wall power needed- In-line volume control. If you have any questions about this product by Trust, contact us by completing and submitting the form below. If you are looking for a specif part number, please include it with your message.